Your parents were there for you when you were born. They’ve been with you through the most important achievements of your life. Now it’s your turn to show them that they can count on you. As your parents get older, they may need help making decisions. When you volunteer to become a representative payee, you’re supporting your parents and their future. A representative payee is someone who receives Social Security or Supplemental Security Income (SSI) payments on behalf of a person not capable of managing the funds on his or her own. As a representative payee, you would make sure your parents’ basic needs are met by using the money to provide them with food, clothing, and shelter. Any leftover money goes into an interest-bearing account or savings bond for your parents’ future needs. You’re responsible for keeping records of expenses, and we request yearly reports to see how you’ve used or saved the benefits. Other representative payee duties include knowing your parents’ needs so you can decide the best way to meet those needs with the benefits provided and telling us about any changes that may affect your parent’s eligibility for benefits or the payment amount. 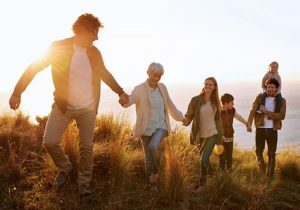 If your parents receive Social Security or SSI benefits and are unable to manage their finances, or you think that may be the case in the future, take the time to become familiar with the responsibilities of a representative payee and consider becoming one. To learn more about becoming a representative payee, you can read our publication, A Guide for Representative Payees, at www.socialsecurity.gov/pubs and visit the webpage, “When People Need Help Managing Their Money,” at www.socialsecurity.gov/payee. Or, call us at 1-800-772-1213 (TTY 1-800-325-0778) to request an appointment. Take the steps to ensure your parents have a safe and comfortable future. After all they’ve done for you over your lifetime, volunteering as a representative payee is just one way to show how much you care for and appreciate them. Social Security will always be there for you and your parents through life’s journey. This entry was posted in Aging, Retirement and tagged benefits, parents, representative payee, Representative Payee Program, retirement, social security retirement benefits, ssi, Supplementary Security Income by Jim Borland, Acting Deputy Commissioner for Communications. Bookmark the permalink. What was the increased changed for the year of 2017 in Social Security Benefits and what year was it change before. Dear my friend you need call social security administration for that question about increased was for this years. Based on the increase in the Consumer Price Index (CPI-W) from the third quarter of … Income (SSI) beneficiaries will receive a 0.3 percent COLA for 2017. Monthly Social Security and Supplemental Security Income (SSI) benefits for more than 65 million Americans increased 0.3 percent in 2017. See our Cost-of-Living Adjustment (COLA) web page for more information. The Representative Payee process is important as it helps those who can’t manage directing the use of their funds for themselves. Too bad the government sees it as an opportunity to violate someone’s 2nd Amendment rights. I may not be able to remember to pay my bills on time but that does not mean I no longer have the right to protect myself. The purpose of the 0.3 COLA was so they could raise the price of Medicare under the Hold Harmless. Without an increase they couldn’t raise medicare. Some got an increase of 79 cents a month so the Feds could increase medicare from $104. plus change to $120. plus change. so you didn’t get a raise you got more debt, This is called sharpshooting by the Feds to cheat you out of something. Still the increased premium can not exceed the COLA. For many people this ended up as a zero net change. So there is not more debt, just a lot of nothing. I do not agree. Would you rather trust hedge funds and wall street? Not the “Feds” – the Republican-majority CONGRESS decided every year whether or not Social Security sees an increase; Congress also increases Medicare premiums. But don’t worry; read the new proposed budget that goes into effect Sept 30 if they pass it – Medicare ends (turns into vouchers for you to BUY regular health insurance in the open market), Social Security Disability Insurance (SSDI for people who worked and paid in all their lives) is cut 20% starting Jan 1 2018 and phased out completely over the next two years, and Social Security itself will also be eliminated over the next few years, replaced by a private plan you’ll have to buy into. All the complaining you’ve all done is coming home to roost. You hate the government programs for retired, disabled, and seniors? No problem, it’ll soon be a thing of the past. See the actual budget bill they’re voting on at congress.gov, read it for yourself. And thanks a lot – for nothing. But the Feds don’t realize, that once a COLA is given; the business’ in the different states ALSO raise their retail rates along with the whole-sale providers (food, gas, heat oil, electricity, restaurants, groceries stores). They too want a piece of the Pie! Just once, the CPI-W for not only the third qtr. but all four qtrs should be looked at for the previous year, and done so by FOUR Regions. Like the time zone regions as example. Compile divide by 4 and get the average! As some area’s are desparate in need and Not Getting. OR Freeze the whole sale rates for several years at time of release for the CPI-W for the next years COLA! If you have voted to reduce government let me tell you: you have voted to reduce it for yourself and everyone else you care about. Plain and simple. Congress determines the COLA formula, not the agency. But that is too much information for most voters who feel any facts are a burden. So if you elect an anti-government representative, since you don’t pay for their election campaigns, rich Americans and corporations that do will still have government paid for by your taxes to enrich themselves while you see cuts in programs you want and probably need. Just don’t ask too many questions otherwise they’ll get your blood boiling with lies about losing guns, Sharia law, ending Christmas and welfare bums. As long as you fall for the bait-and-switch they will rely on having you vote to take away the safety net you spent your whole working life paying for. How do we know fund will be solvent with undetermined COLA? Because the program is SELF FUNDED – not one dime, ever, has come from the government budget, no matter how Congress lies. Cutting Social Security will not help the deficit one scintilla – but all that money in it will go instead to the investment bankers on Wall Street who now run the entire financial structure of the country, thanks to their billionaire buddy I’m the White House appointing them all to the Cabinet and the Federal Reserve. They’ll get richer, and you’ll lose your future. My name is William Forsyth and as of today (12-11-17), I have not received my Medicare bill for the month of January. Whom should I contact to verify if my bill has already been mailed out. Appreciate any assistance you can give me regarding this matter! Hi William, you can call us at 1-800-772-1213 (TTY 1-800-325-0778). Representatives area available Monday through Friday, between 7 a.m. and 7 p.m. Thanks. Generally, you may have a shorter wait time if you call later during the day or later in the week. Thanks! my mother received her social security pension after 65 years old. she did not complete her 10 year contribution because she stopped working. Can she go and stay in the Philippines and continue to receive the pension? Hello Pedro. Generally, individuals need to have 40 “credits”, or 10 years of work and paying Social security taxes to qualify for any type of Social Security benefit. Our publication “Your Payments While You are Outside the United States” explains how being outside the United States may affect your Social Security payments. Some individuals who are age 65 or older and do not have enough credits to be eligible for Social Security benefits, may be eligible for Supplemental Security Income (SSI). The SSI program pays benefits to people with limited income and resources. SSI benefits are paid ONLY to residents of one of the 50 States, the District of Columbia, or the Northern Mariana Islands. Keep in mind that individuals receiving benefits from Social Security, have a legal obligation to report changes, which could affect their eligibility for disability, retirement, and Supplemental Security Income (SSI) benefits. If you or your mother need to speak with a Social Security representative, call our toll-free number at 1-800-772-1213 for further assistance. Representatives are available Monday through Friday between 7 a.m. to 7 p.m.
Generally you’ll have a shorter wait-time if you call later during the week. We hope this information helps! I help a family member for free, who is intelligent, not disabled enough to lack ability to consent to direct deposit of retirment funds in her personal bank account, but who has had you nonetheless spend substantial percentage on a for profit payee without notice or any due process since. I have spent entire week trying to avoid the stigma, shame, humiliation from proving lethal and have been abused violently viscously by a local offices three levels so far of staff. I have spent additional hours on phone, with conman and sleeping prison labor quality person who is only provider of valuable info so far, that no telephonic work can be done for us, only information. The retiree has been isolated, hustled into agreeing no guardian has ever been appointed. There are other family members who endager chronically the retiree and who we have not reported the felonies including violent ones of. The monthly return of funds paid in by the retiree will not be critical to access anytime soon, nor will the losses charged by payee. However ssa is violating retiree rights to representation, has called question over my objection, lies about attorney list document, and we can not afford a third day of travel And loud belligerent angry if brief, too curt, verbal etc. Assault without purpose. You have a problem and may have immunity from punitive damages, certainly act like it. We will publish the audio and or video files soon and name the names and expect other familes to testify to loss of life from such rabid personnel. The primary care doctor has unequivically written the retiree is competent, that no mental or physical issue justifies the loss of personel dirrect deposit of most of retirees income. I have fought for decades and hope success so close now, genuinely closer then ever in cure is realised. This situation reduces that likelyhood, the SSA is midieval in conduct regarding emotional disturbance, medication side effects, temporary medical malpractice victimisation not dooming someone to second class hell forever. Remedies include restoring quality of lobby staffing, having a receptionist and less goony bouncer, not merely keyboard for ssn and outsourced idiot however arrogant. To save my family member one person we can reach who is sober is needed. I will waive all damagesm let the payee keep entire month, but reverse the “decision” in hours or expect however many millions from us to be invested to obtain posthumous I fear apology from you for the slains abuse by you to death literally. One person, not mean, crazy, but just competent thenself to act on the fact that the retiree rightly or wronglym for good or bad, is not incompetent and has the right to the money as in past without exception even if they years ago bought a used car and drove it well without really needing to nor for the most negotiated price for such ordinary folly is not relevent. Nobody even suggests it is, only outrageous argument, uninformed, false is so far suffered. In our country it is recently reported that a con had a criminal getting personalised plate for car but now makes them serving hard time for what was advertised on bumper having been convicted for similar conduct to yours. I read this long magazine article to my family, it made me reveal in my reading the depth of feeling the editing, prose, evoked. Evil is ours to eliminate, we do it with light best. To all who read this please join me in the fight for cures of all that ail us, not posing by fools so sick themselves as to horrify me for there employment by our nation with awesome power over the poorest here. I haven’t received my quarterly Medicare bill. I don’t want to lose my Medicare. Where is my bill?. What information is needed to fille for disability benefits? Thank you for your question, Pamela. Disability Benefits are paid to people who are unable to work because of a medical condition that is expected to last one year or more or to result in death. If you think you are disabled under our rules, you can apply for disability benefits online. Please see our listing of impairments, and visit our Benefits Planner: Disability web page on disability for more information. Please call us at 1-800-772-1213 Monday through Friday, between 7:00 a.m. and 7:00 p.m. Or contact your local office for further assistance. We hope this helps.